Cary, NC, April 9, 2019 – The real winners of the Allscripts Tobacco Road Marathon (TRM) and Altra Tobacco Road Half Marathon were the charities supported by Cary’s flourishing community event as the million-dollar milestone for charitable gifting was exceeded. Today the TRM board of directors confirmed that a record year of $143,000 in contributions was achieved. The cumulative total of funding now stands at $1,059,000 after just nine years and ten races. The money was derived through race registrations and the support of sponsors such as Allscripts, Altra, and presenting sponsor InsideOut Sports. Some 4,000 runners tackled the fast, flat American Tobacco Trail course on March 17 for a challenge that has grown both in size and national stature as ideal for those wishing to qualify for the elite Boston Marathon. The primary charities supported by North Carolina’s largest marathon are JDRF, Hope For The Warriors, the American Red Cross and the Rails to Trails Conservancy as well as Wake County Parks and Recreation. 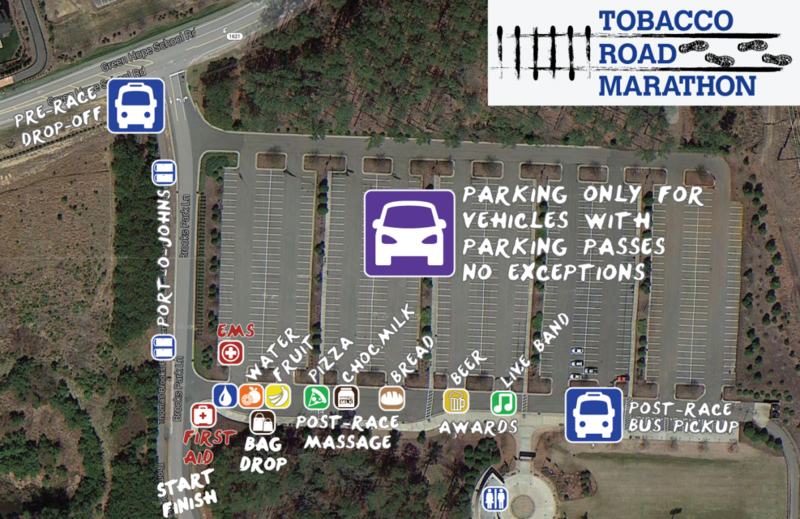 The Tobacco Road Marathon Association is a non-profit organization dedicated to providing financial assistance to charities by channeling the passions of the North Carolina Triangle area’s running community into a powerful force for good.